There are many loyalty programmes out there, the biggest and easiest to actually earn and spend points in the UK is Avios. 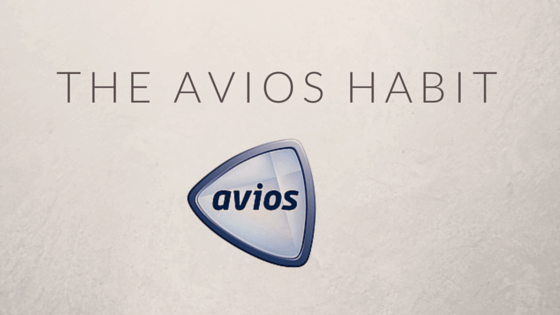 I had heard of Avios before I started collecting points but honestly at the beginning I thought it was very difficult to do so, so I gave up before I even started. Now I wish I didn’t, I would probably have millions of them by now and travelled in world in luxury and comfort rather than budget and cramped. Avios is the scheme formed in 2011 between British Airways (BA) and Airmiles. I know many people have heard of Airmiles because they were so popular, they do not exist anymore. Now Avios are extremely popular and much easier to acquire as they are not JUST Airmiles, but rather a points scheme. They can be earned by shopping at Tesco, putting petrol at Shells, doing online shopping at the Avios E-store and much more. Then you can spend your points for flights (way more lucrative), hotels, cash vouchers and more. For those who shop at Tesco you can even convert your Tesco Club card points to Avios. I am definitely not an expert, I did a crash course (100 hours a week) on Avios and it is not as hard as you think it is. You can shop normally for anything you want on the internet and earn Avios. Many took advantage of the winter sales by shopping online, I did exactly the same though I just went through the Avios e-store. After 6 months of Avios collection I have enough points for 10return flights to Paris, Amsterdam or for a flight in Business class to Saudi Arabia which costs about £4000 in cash. To me this seems like an excellent deal especially when I didn’t even spend more than usual, I just took advantage of the opportunities out there. You still need to pay the taxes, but this is not really that much considering the savings you make and the experience you receive. The Avios scheme is definitely something that Muslims can take advantage of in order to have cheap and free travel for themselves and their families. Collecting Avios is exactly the same as collecting Tesco or Nectar points, which many Muslims do anyways, now you can travel and explore new cultures and countries just by collecting Avios points. You can find more information on the Avios website about the places you can collect and spend your Avios. When I started learning about Avios I read through the Money Saving Expert website that has easy steps and suggestions for boosting your Avios. Also last but not least I learned so much from a blog called Head for Points, great information on almost everything you need to know about Avios and how to maximise them. Sometimes we as Muslims cannot use all the information or suggestions but there are interesting promotions and deals that we can participate within religious boundaries. Then we can enjoy some great travel experiences with our families. Everything I suggest as examples of how to save money without having to get involved with interest. You can use the deals, promotions, shop online or in store and even some cards to earn points. Salam. I am realllyyy enjoying reading your blog.. so much useful info msA. I hope to join soon and begin travelling. My husband and I have been to Istanbul twice together and him alone about 6 times. I feel bad that I didn’t know about this scheme earlier !